Glass - 4K UHD Review - ReDVDit! 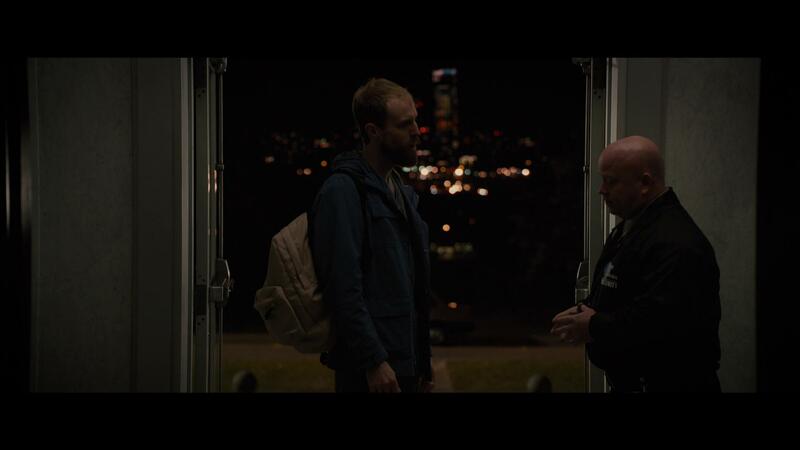 Glass is a 2019 American superhero thriller film that was written, produced, and directed by M. Night Shyamalan. The film is a sequel to Shyamalan’s previous films Unbreakable and Split, serving as the final installment of the Unbreakable trilogy. Bruce Willis, Samuel L. Jackson, Spencer Treat Clark, and Charlayne Woodward reprise their Unbreakable roles, while James McAvoy and Anya Taylor-Joy return as their Split characters, with Sarah Paulson, Adam David Thompson, and Luke Kirby joining the cast. 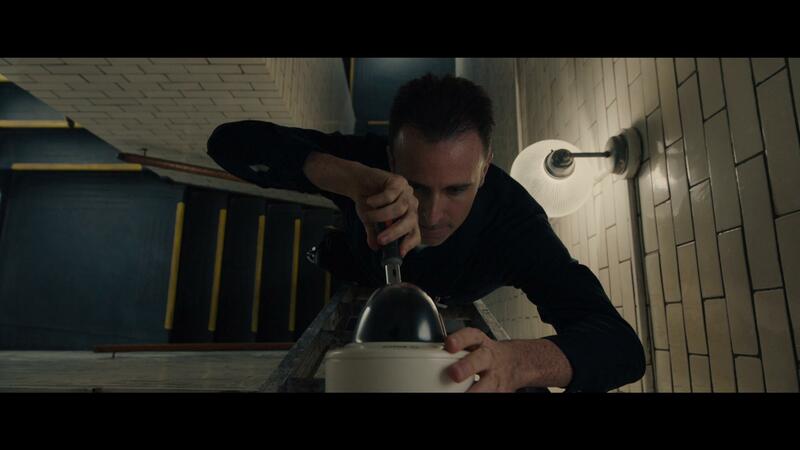 In the film, David Dunn becomes locked in a mental hospital alongside his archenemy Mr. Glass, as well as the multi-personality “The Horde,” and must contend with a psychiatrist who is out to prove that the trio do not actually possess super-human abilities. Despite interest in a sequel, Touchstone Pictures opted to not finance one. Shyamalan set out to write Split using a character that he had originally written for Unbreakable but pulled from its script due to balance issues. Shyamalan realized the opportunity that he had to create a trilogy of works, and used the ending of Split to establish the film as being within the Unbreakable narrative. This included securing the rights to use Willis’ character from Walt Disney Studios, with the promise of including Disney within the production and distribution of this third film alongside Universal Pictures. Split was a financial and critical success, and by April 2017, Shyamalan announced that he had already started the production process for Glass. The film was released on January 18, 2019, by Universal Pictures and by Walt Disney Studios Motion Pictures, under the Buena Vista International label, in international territories. It has grossed over $246 million worldwide, against a $20 million production budget, making it the seventh highest-grossing film of 2019. Glass received generally mixed reviews from critics, with some quoting the film ending as being “disappointing” and “underwhelming”. Finally bringing Shyamalan’s Unbreakable trilogy to a closure, Glass gives its viewers a storyline that not only brings those worlds together, but it leaves things open ended for a continuation into an all new universe, should he choose to pursue it. With Marvel and DC leading the cinematic world in superhero/super-villain movies, the experience that this trilogy has created is definitely a welcome one as it builds and plays more on the internal dynamics than it does on anything outside of the universe. I can definitely understand the negative feedback that’s been running rampant after watching the end of this movie, but overall I feel that it didn’t create too much discomfort with the movie, the trilogy or the world that’s been running all of these years. Presented in 2160p with HDR enhancements, the 4K UHD release of Glass offers a considerably moderate boost over its Blu-ray counterpart. Sourced from what is being reported as a 4K digital intermediate, the colorization and finer details of the movie really pop and offer a hell of a view and at the intimate skin details of the characters. With its attention to the textural elements, the colors are also more rich, and give the viewers a greater tonal depth and accuracy to the shot. 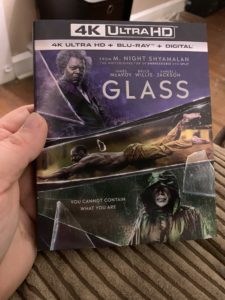 Packaged with an English Dolby Atmos audio track, the 4K UHD release of Glass offers those with an Atmos setup one hell of an experience that can certainly be best described as one of the best uses of Atmos to date. 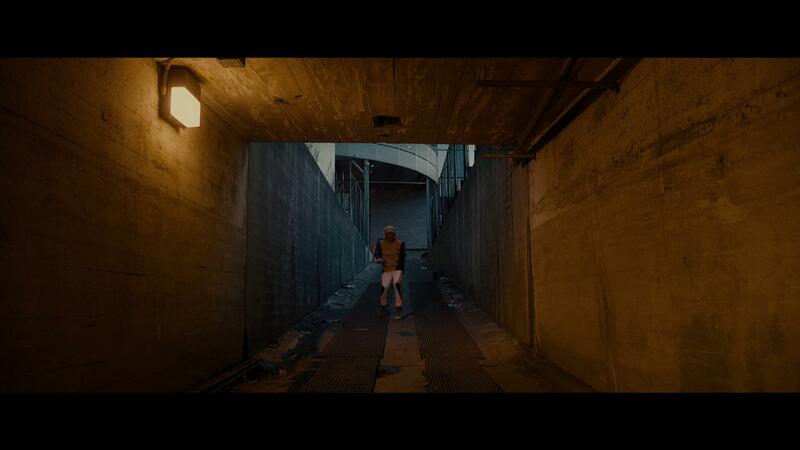 While the movie as a whole doesn’t offer much in terms of insanity, the atmospheric elements of the track were more than enough to ensure that my wife and I felt as if we were right there in the middle of everything. With things like the thunder crackling from the rear, and moving to the overhead really made the track all that much more enjoyable. The dialogue is spoken cleanly, and the cast and characters are certainly able to be heard and understood without any extra effort needed for manipulating the volume levels. The 4K UHD of Glass comes packaged in the standard two-disc amaray case. Inside that case, the UHD disc featuring the same artwork that’s included on the case, and the standard Blu-ray copy featuring only the standard release text. There is a digital copy redemption pamphlet as well as a slipcover that’s been made available in the original pressing of the release that features the same artwork as the case. I am definitely happy to finally get the chance to sit down to this movie. 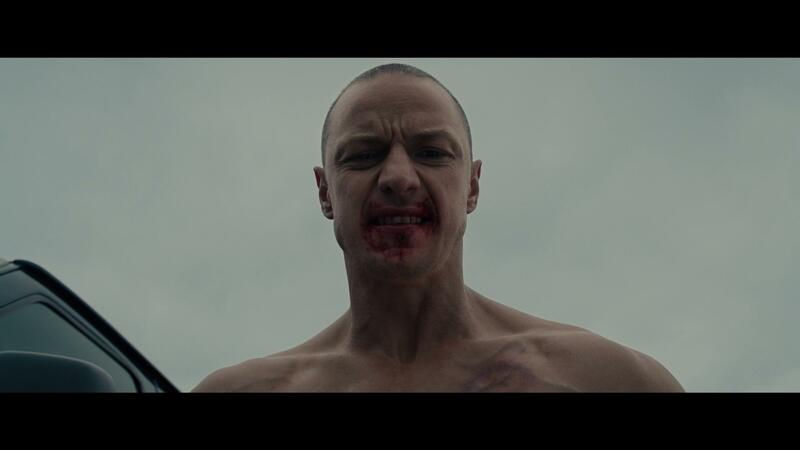 Glass was a long anticipated watch for both my wife and I after we had the pleasure of watching Split and Unbreakable during the initial release of the second film. The storyline is intense enough that it really make sure that audiences have a good time with the supernatural elements, despite the hatred that the ending had created. 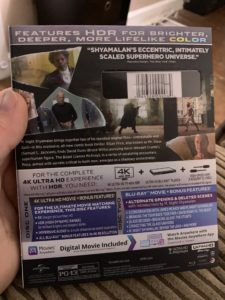 The video and audio presentation of the 4K UHD release were spectacular, making this release one of my personal favorites to sit in my collection. The special features, albeit short, were a nice thing to sit down to and explore. If you’re considering this for your collection, I would without a doubt recommend grabbing the 4K copy. “Glass” is available on 4K UHD, Blu-ray and DVD today.